Z nami będziesz miał postęp i rósł w sile tak jak my. Członkami sa aktywni gracze, tak wiec mamy doświadczenie i znamy zasady nie od dziś. ^ a much more user friendly chat app, try it! https://discord.gg/VVMtf3 - Drop in and chat before joining if needed, more active in discord than guild chat. Raids: HC Rancor on farm, Tier 5 Sith on farm (Not looking to progress to 6 for a while), Normal ATT on farm, HC ATT done twice (Now looking to make this more regular). Territory Battles: Approx 15 stars. Territory Wars Won our last 3. Kick period: 1 week without prior knowledge of inactivity. A core of approx 25 players with an additional 15 less chatty/active. Looking to fill out our guild. Due to the good amount of spaces left, approx 10, a guild merger is not out of the question with a small core of guildies/friends. We're generally a mature professional bunch of Free to Play players, so no hard rules apply, just be polite, remain active, and give prior notice of inactive periods, holidays etc. Any questions please feel free to ask! We’re looking for good, solid, active players, level 85, minimum 1.5 mil GP or above. We run hPit, hAAT & T6 Sith looking towards Heroic Sith soon. 1. Active participation in all Guild events. 2. Active daily to help generate raid tickets, any amount is fine. Thanks and Supten Waverly welcomes you! Join our guild. It’s not nearly as good as these other ones. I hope my honesty counts during your selection process. Message me if you want to know more. Or if you liked my honesty. We are PTA SWH and we're around 91 M GP. We belong to a community (not alliance) of more than 400 players. Here you will always have feedback about the game and other things in life in general. Our objective is to build a solid HSTIH guild in the near future, that's why although we are full we're willing to receive players that are like minded and have a strong community sense. As a group we can and will build a solid team and have a strong game development. 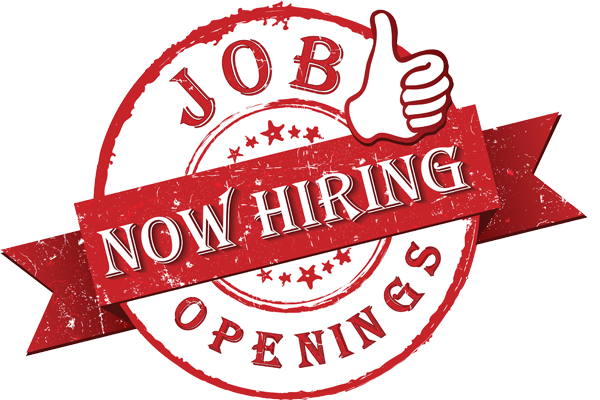 Legion Ascendant is seeking 15-20 ACTIVE and developing HSTR ready players. We are currently farming HSTR with our 30 core players and want to replace those that are not contributing. 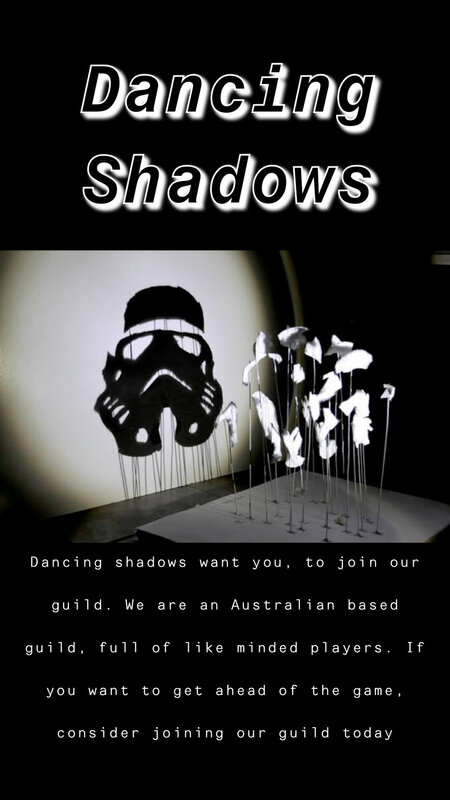 We are a mixed nation guild, very kind and helpful and we are recruiting again. All heroic raids are on farm. No alliance guild. We have 146M+ GP and 42* last LS TB. 44* on last DS TB. We do both Heroic Rancor and Heroic AAT every couple days, and do Tier 6 in Sith Raid. We are working towards Heroic sith and are very close. We consistently win in Territory Wars and get 30-36 stars in LS/DS TB. 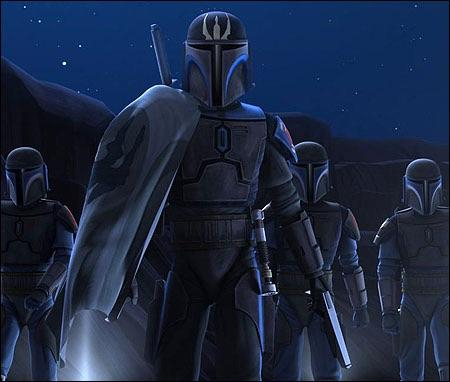 Our guild requirements are that you participate in Territory Battles and Sith Raid. If you don't participate, we remove you from the guild if no prior notice is given if you are dealing with real life issues and can't do them or are on vacation. We hope you can join us! 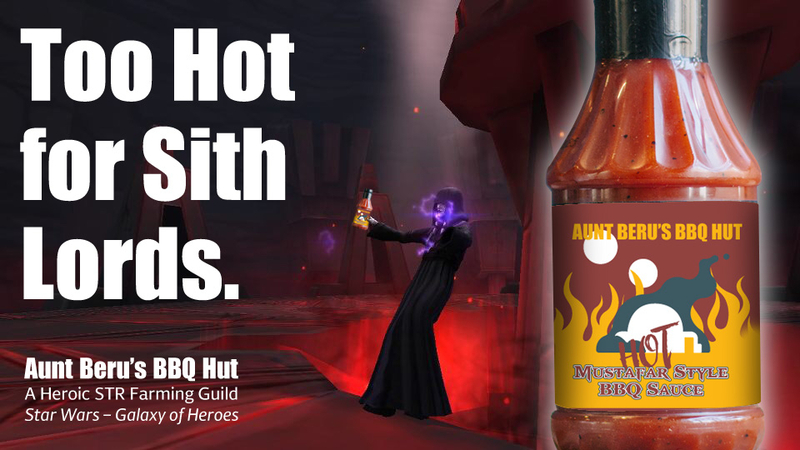 We are working hard towards doing Heroic Sith soon and we want you to be a part of that! 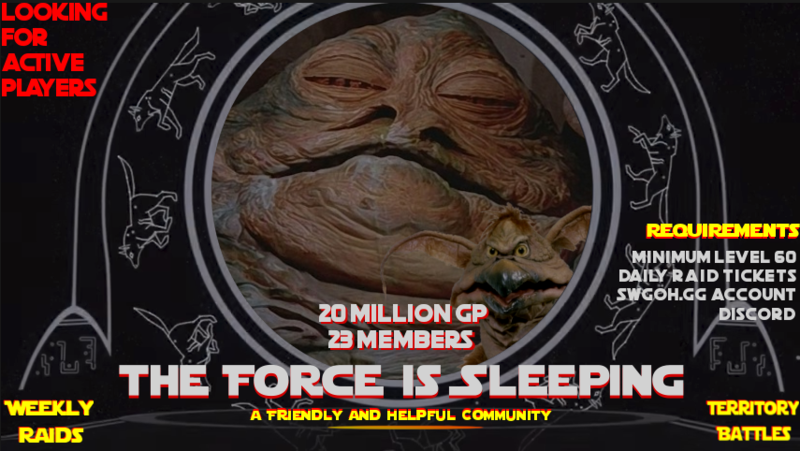 We have a fun helpful community of long time players and we do accept some lower GP players if you are willing to be active and participate and work towards helping develope teams for Sith Raids and TB. We are looking for new active members who want to grow together through all the content the game has to offer! Our rules are simple and straight forward. Our crew has a no drama policy and has little tolerance for repeat rule offenders. We like those who want to learn, grow and game together! If our guild is already full but you are interested please don't hesitate to reach out and we can have a chat! DM me you if you would like to check us out. A link to your swgoh.gg profile in the DM is a plus. Can contact on discord as well armyofone#3163. Drop it like its Hothh is recruiting. Relaxed and friendly guild are we! Doing heroic rancor and HAAT raids. Our guild member are always here to help. - contribute in all modes of the game. If interested, look us up in the game or contact me on discord Trigo Kando#9594 or message me in the game - ally code: 857-997-161. Thank you for reading this. We look forward to hearing from you. 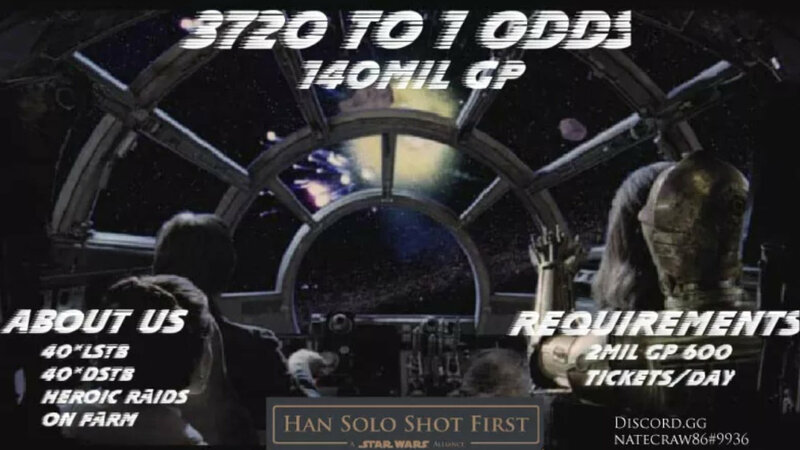 We ask only that you show up put up 500 tickets a day average, have 1.8 mill GP, at least 1 HSR ready team, do all battles in TB, and follow raid rules. Wir sind eine aktive Gilde, mit nur wenigen lockeren Regeln. Ihr solltet schon regelmäßig an den Gildenaktivitäten teilnehmen, wenn ihr aber Mal nicht könnt ist das schon ok.
Im Moment 2 freie Plätze, werden aber wohl kurzfristig noch paar mehr frei. JOIN THE BLUE LINE MADALORIANS! WE ARE READY TO FARM THE HSTR! -We are fully organized on discord with extremely dedicated guild leaders. -We have our HSTR run organized on charts. We just want a few more active players with a decent JTR or BH squad. As long as you can assist with those, gp is not that important. -We are a very organized and fast moving guild, so get in now and we will have this bountiful raid locked! Contact Brotoss @Brotoss#7638 on discord to join! We are PTA SWH and we're around 91 M GP. We belong to a community (not alliance) of more than 400 players. Here you will always have feedback about the game and other things in life in general. Our objective is to build a solid HSTIH guild in the near future, that's why although we are full we're willing to receive 2 players that are like minded and have a strong community sense. The Dread Masters are a quickly advancing, fully heroic, highly active and social guild with 114m GP that takes progression very seriously. We've just conquered our first Heroic Sith Raid attempt, and are looking to fill a single opening. 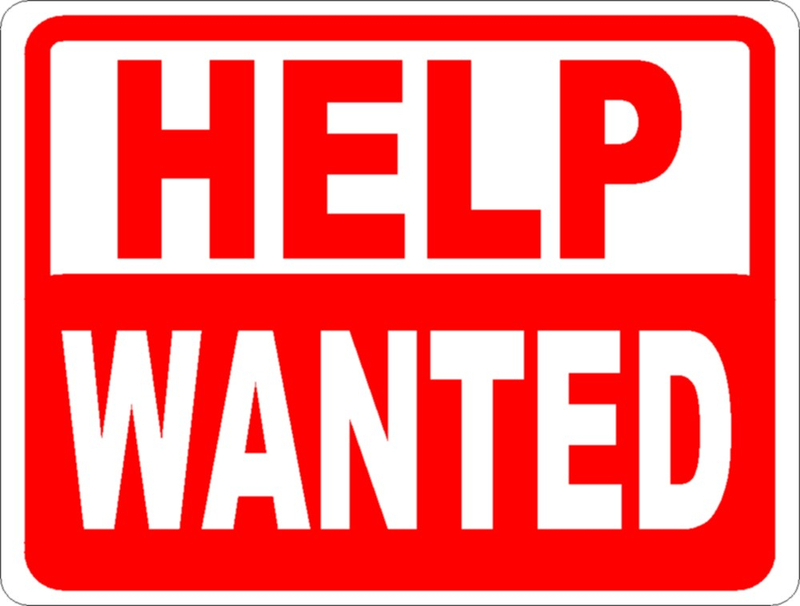 We are currently seeking an active player of 1.5m GP or above, able to contribute to HSTR, with plenty of fleshed out squads for territory wars and battles. 36 TW Wins, 45 LS/47 DS. We are The Force Is Sleeping. Our tight knit community is looking to start branching out to the larger player base. Our Guild is looking for both Active Players that need help and Experienced Players that like to help others. We are also open to offers of small Guilds Merging into us. Our main goal! Progressing together, Learning together, Growing our Community, and having Fun in our favorite Galaxy. We offer Knowledge of the game, our own Guides, and we stay Up to Date with the Current Game Updates. 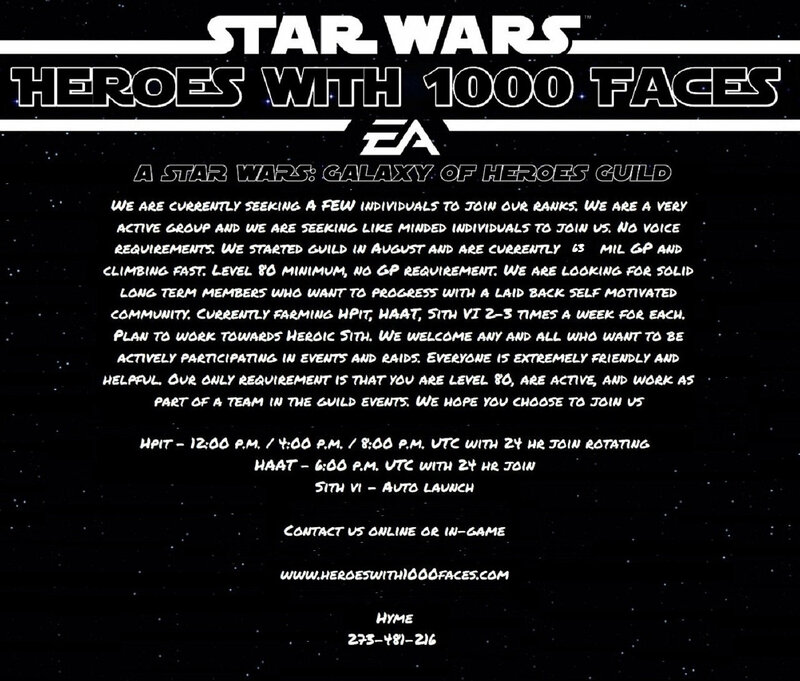 Finding us In-game "The Force is Sleeping"